Includes four LPs featuring "Dani California," "Tell Me Baby" and "Wet Sand"
One of the most successful acts in rock history, Red Hot Chili Peppers have sold more than 60 million albums, including five multi-platinum LPs, and won six Grammy Awards, including "Best Rock Album" for Stadium Arcadium, "Best Rock Performance By a Duo or Group" for "Dani California, "Best Rock Song" for "Scar Tissue," and "Best Hard Rock Performance With Vocal" for "Give It Away." The band holds the record for the most No. 1 singles of all time at Alternative radio, a total of 11, and a combined 81 weeks at No. 1. Red Hot Chili Peppers frontman Anthony Kiedis called the band's sprawling 2006 quadruple LP album Stadium Arcadium, "the best thing that we've ever done...There's this weird kind of sublime, subliminal undercurrent that is suggestive, in a spirited way, of our earliest records." Produced by the great Rick Rubin and serving as the group's last to date with longtime guitarist John Frusciante, Stadium Arcadium exudes all the passion, energy and funked-up rock that has made the Rock And Roll Hall of Fame act one of the most popular and enduring in music history. 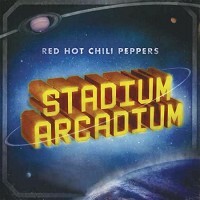 Stadium Arcadium is home to five hit singles including "Dani California," "Tell Me Baby," "Snow (Hey Oh)," "Desecration Smile" and "Hump de Bump," and yielded seven Grammy-nominations and five wins including Best Rock Album in 2007. Customer Reviews (4.88 Stars) 8 person(s) rated this product. I made the tragic mistake of purchasing several original issue vinyl box sets of Stadium Arcadium, as gifts for friends, always intending to purchase a copy for myself - later. Well later came AFTER the issue had SOLD OUT. Shortly thereafter discog prices were topping $250.00 for this scarce item. Finally and thankfully it's been reissued. And even MORE thankfully mastered by AcousTech and pressed by RTI. This combo (and Quality Records) are currently best of the best. And it was well worth the wait. Sonically enormous, with a Uuuuge soundstage and instrument separation. DEAD quiet vinyl surfaces -thank you RTI ! The packaging is heavy and sturdy, with substantial gatefold jackets for each Venus and Mars. But it's no "deluxe" edition. No band pics, lyric sheets, or extraneous bits. Just the very BEST vinyl possible. Without question the best VALUE in all of vinyl ... at a mere $10.00/disc ... stupid cheap for this quality. Great Album, Enjoyed listning to it. Great music, great sound, great pressing, great packaging. Not much more to say. Buy this one if you appreciate any of the above. This album vaults the Chilis into the U2 zone. They have matured into one of the great rock bands.